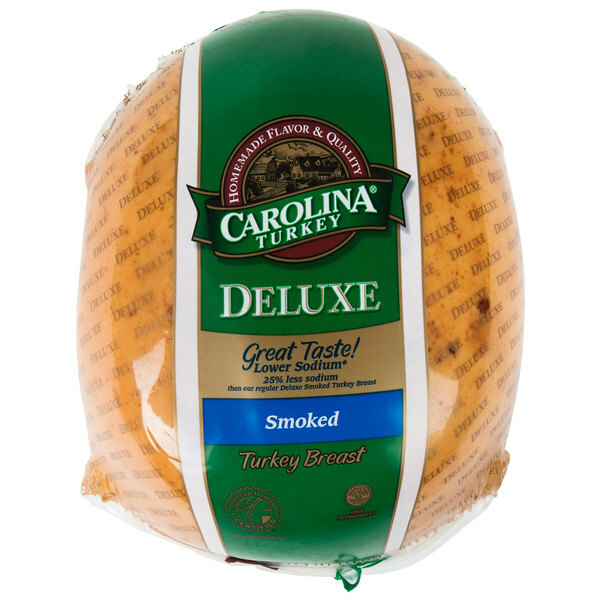 Deliver a fresh, tender, meaty taste to patrons in your deli with this Carolina Turkey Deluxe 10 lb. smoked skinless turkey breast. This fresh skinless smoked turkey breast is a delicious, lean protein that is a savory, great-tasting addition to any deli counter. 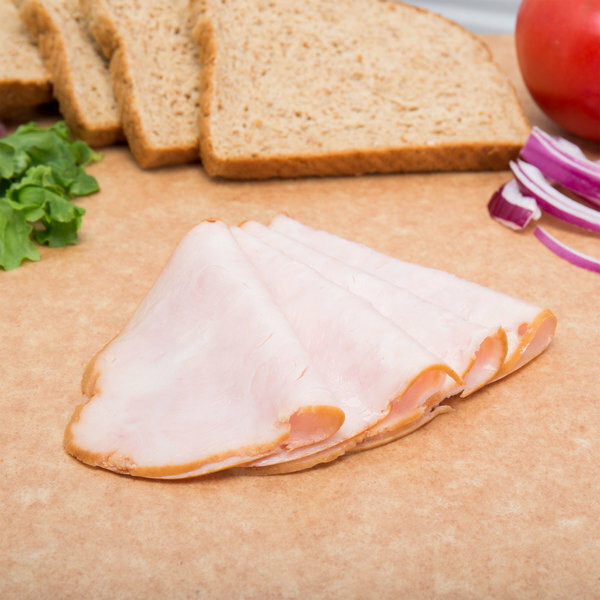 Use this turkey breast for slicing by the pound for customers, or to provide delicious to-go sandwiches, like a classic turkey sub with lettuce, tomato, bacon, and provolone cheese with a fresh dill pickle on the side, for your lunch rush. Or, incorporate this meat onto a deli tray, layered with smoked ham, and top round roast beef alongside american and swiss cheese, for a great party platter option for your customers' events. This product is formed from breast meat into a traditional shape and contains carrageenan and modified food starch to increase moisture retention, as well as provide maximum slicing yield. It is smoked for maximum flavor and color appeal, as well as contains zero trans fat for a healthy, lean protein option on your menu. Plus, it contains 25% less sodium than most oven roasted turkey breasts. 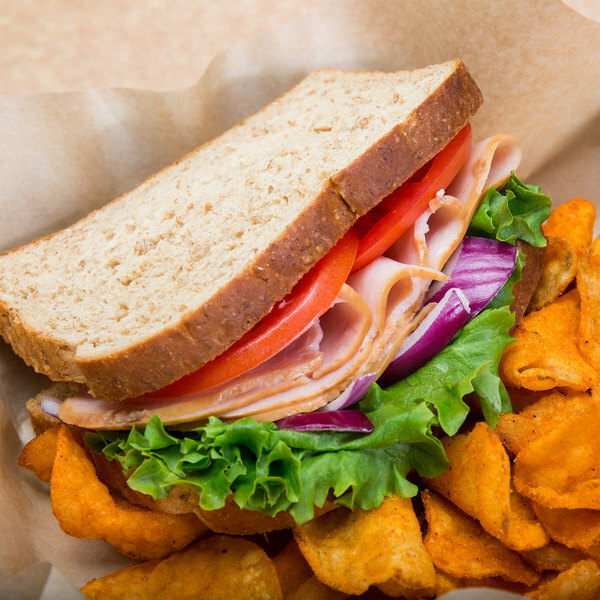 Ready to slice and serve to hungry customers, this turkey breast is a convenient addition to your establishment. As a leader and innovator in the turkey industry, Butterball is an expert in providing high quality turkey products to the market. With dedication to just one protein, 100% of their resources are dedicated to the production and development of exceptional turkey products. Today, they are the world's largest vertically integrated turkey processor with an extensive network of family-owned farms across the nation, and all of their products, including their Carolina Turkey and Farm to Table lines, bear the American Humane Certified seal. All Butterball turkeys are raised hormone and steroid free to ensure healthy, great-tasting meat you can feel confident about serving. A trusted brand customers know and love, supply your establishment with Butterball turkey.